Smoking is injurious to health is the advice that you carefully read all cigarette packages. Let's go ahead, take a breath of ecstasy. Why? I try not to know or be something else. The consumption of snuff is the most preventable cause of premature death in modern times. The snuff or nicotine is the chemical in our blood vessels, so the crisp air that imports, which obliges us to allow a further reduction in air combat. Why are we in smoking. The address today's younger generation is tight, which is most affected by this deadly disease. The main reason is to demonstrate that they are in trouble, they themselves are adult and mature. A 13-year-old boy was in the streets with his friends too rounds of smoke in the air, feel mature and large enough to make decisions, and believes that now is that is free from the shackles of their parents who bounding say that smoking is harmful. She was in pure joy and fun, not knowing that it really is, can the shackles of a deadly disease trap, and did not really get rid of. Hey! Boy, stop smoking, or soon will be in the grip of the deadly disease. Ill effects of smoking are smoking It triples the risk of dying from various heart diseases, bronchitis and emphysema. The smoke causes asthma and lung cancer in many people. 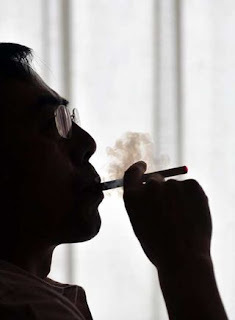 It is smoking that a person in the membrane air 3 times more than does a nonsmoker. Smoking makes you weak and unfit for sport and other sports. Smoking makes people avoid because it makes the hair and clothes stink. Tooth staining, and has bad breath. His lips cracked and often very pale. Is that what you call looking mature. No. So quit smoking because it will do good for you. Smoking is a contagious disease, because not only victims but also weaken those around them. This is better known as passive smoking where the smoke exhaled by smoking damages the lungs and chest of a person inhales air. Therefore, the need of the hour to take the matter seriously and something constructive to our society from the clutches of this deadly disease.